How many times have you been yelled at for leaving the lights on? 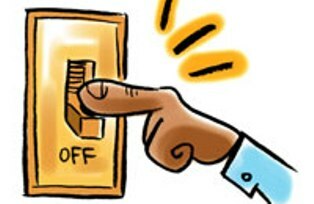 Do you stress about constantly having to turn off the lights in order to stop wasting electricity and money? Leaving the lights on costs much less than most people think it does. With all the anxiety and focus on not being wasteful and on turning the lights off, you'd expect the cost of leaving lights on to be a few dollars for every couple of hours. But, in fact, the cost of your negligence in not turning off the lights is in the cents. Let's assume you leave 3 lights on for 5 hours. How much does that actually cost? Furthermore, let's assume each of the 3 lights is one 50-Watt bulb. That means that our example above (leaving 3 lights on for 5 hours) is equivalent to 0.75 kWh. Based on electricity prices, your "enormously wasteful" behavior of leaving the lights on only costs between 7.5 and 15 cents!! Game console 20 to 180 W 5 to 6 x per week - 1h20mins.